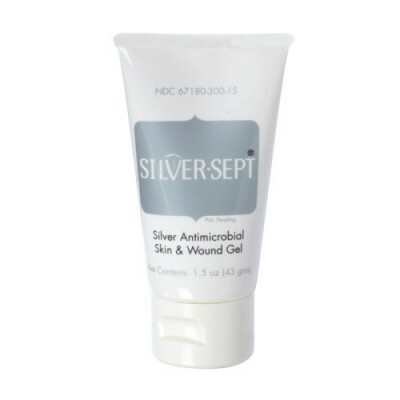 Anacapa Technologies Animal Health | Silver-Sept® Silver Antimicrobial Skin & Wound Gel-1.5 oz. 200μg/gram total silver, is a clear, amorphous hydrogel wound dressing that helps to maintain a moist wound environment that is conducive to healing. Silver-Sept will not stain or discolor tissue.